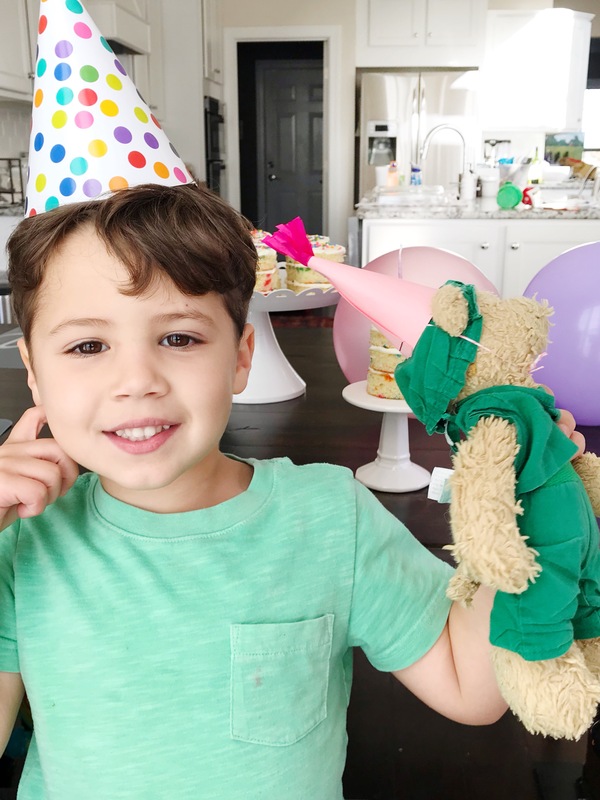 We threw a birthday party for my 5-year-old Max’s teddy bear (as one does). 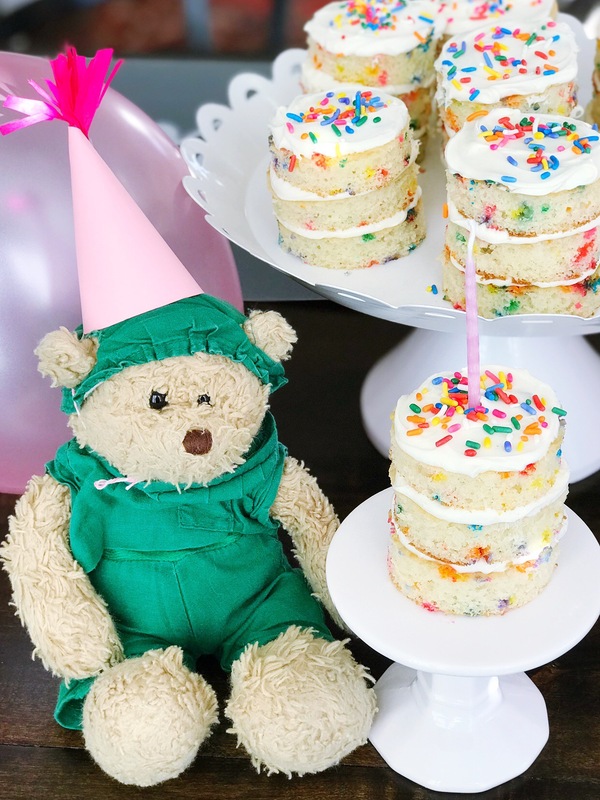 We made mini layer cakes and a mini party hat for Teddy for the occasion! 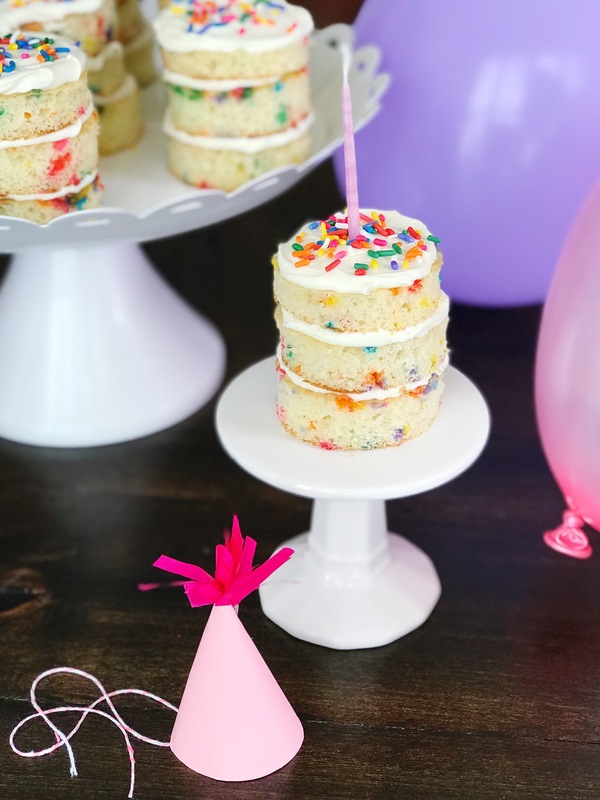 These pretty little cakes are more interesting than cupcakes but just as easy and delicious. There are a couple different levels of easy to make the cake, and it only depends on the recipe. Use a boxed cake and frosting. This is the easiest way to go (duh) and turns out yummy every single time. Pillsbury white cake mix is my fav, and I used the egg yolks to give it the yellow color. This recipe is super simple and seriously delicious! You probably have all the ingredients in your pantry. The mega-boss recipe of them all from Milk Bar. The hardest, but the tastiest. I just got their new “All About Cake” cookbook, and I’ve been dreaming up all the truffle recipes I want to make! 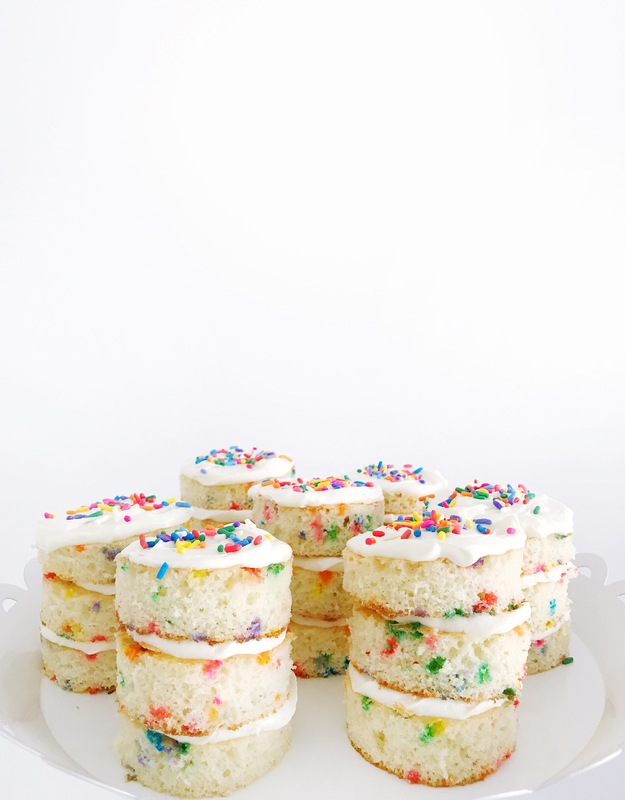 * Mix in 1/4 cup of sprinkles to the batter. * Make sure to under bake it a little…start off with 10-12 minutes and keep checking! 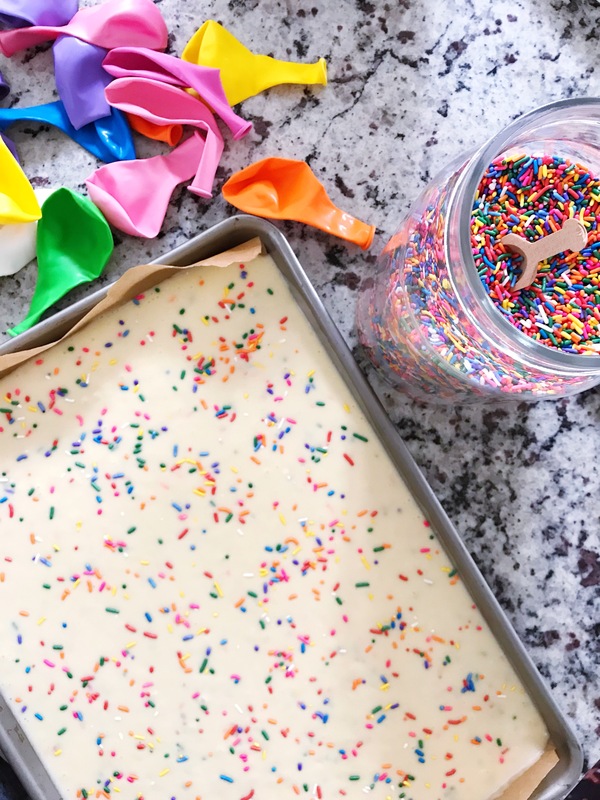 * Once baked, let it cool for a few minutes, then lift the cake out of the pan by holding the ends of parchment paper and let it cool completely. I like to do this so that the cake doesn’t continue to bake in the hot pan. 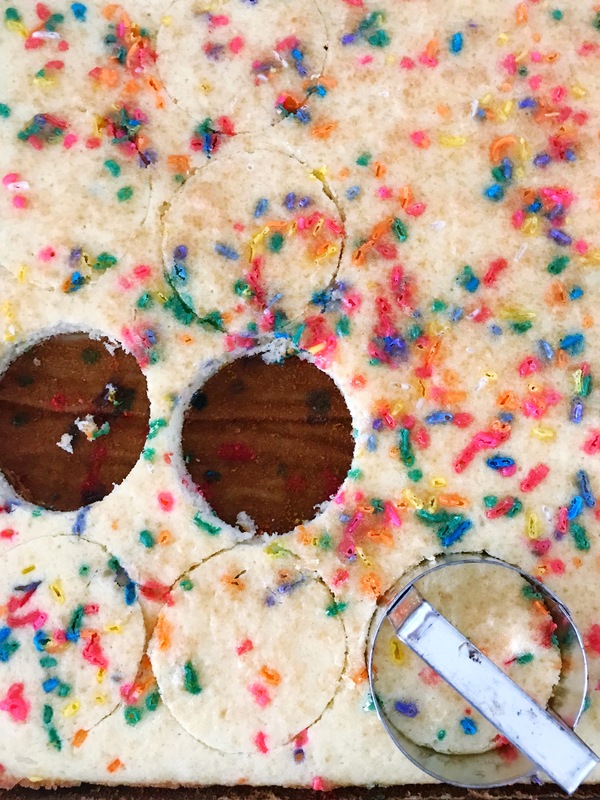 * Using a 2″ round cookie cutter/biscuit cutter, cut out circles from the cake in rows. You should get 3 rows of 8, making 8 triple layer cakes or 12 double layer cakes. * Frost in between the layers and on top. You could pipe it but I just used a knife, and it turned out just fine. 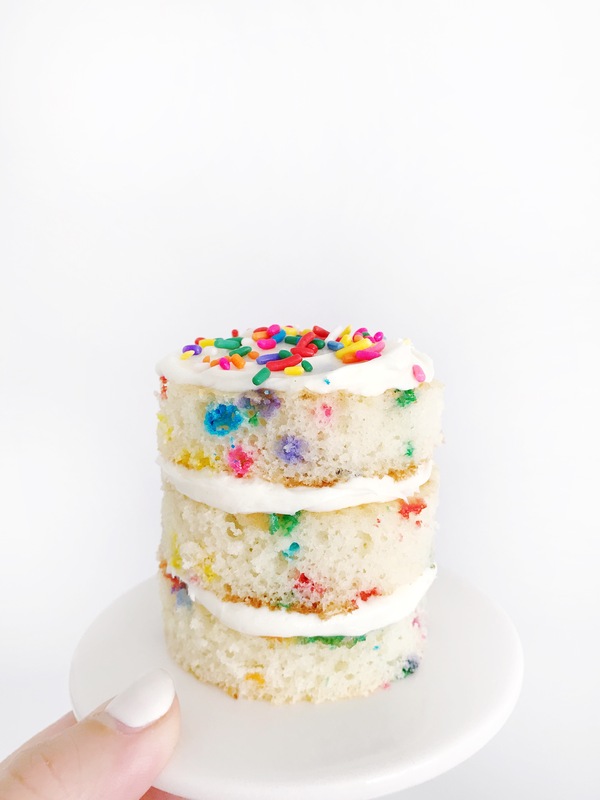 Top with sprinkles! PS. need that giant jug of sprinkles? Here’s the link! I made these cakes for Max’s 1st birthday too! I used all egg whites so the cake turned out nice and white and tinted each layer of frosting different colors for a more festive look! 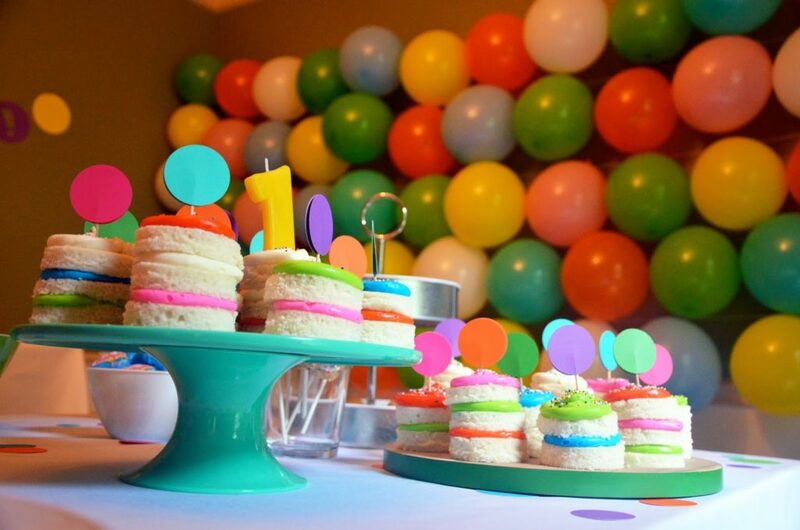 To make Teddy’s party hat, you can use THIS template but shrink it down majorly. I actually just eye balled it and hand cut- the widest part around 4.5″. Fringe a little tissue paper and tape inside the middle of the cone. Roll up and tape string inside.